Ahhhh….Beef Manhattans ….. or simply call it – Hoosier comfort food at its best! I know…. it’s an Indiana thing. But I can’t tell you how many of these I ate as a kid growing up in Indianapolis. 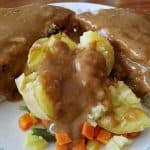 A Beef Manhattan is basically a roast beef sandwich, cut corner to corner with a big scoop of mashed potatoes in the middle, and then completely smothered in brown gravy. The dish was first served under the name “Beef Manhattan” in a now defunct Indianapolis deli in the late 1940s where it gained traction as a Hoosier staple. In Indiana, it is served on bread. The roast beef is sliced and put on bread like a sandwich, then cut corner to corner and plated in a V shape. Mashed potatoes are served between the two halves, and the whole is covered in gravy. Yumminess on a plate, that’s what Beef Manhattans were, and a big part of my childhood. Hmmm….I sense a recipe coming. Yesterday as I was rummaging around in my fridge looking for something yummy to eat, I spied a container of my awesome Vegan Gravy, and some leftover mashed potatoes and I instantly thought of beef manhattans. 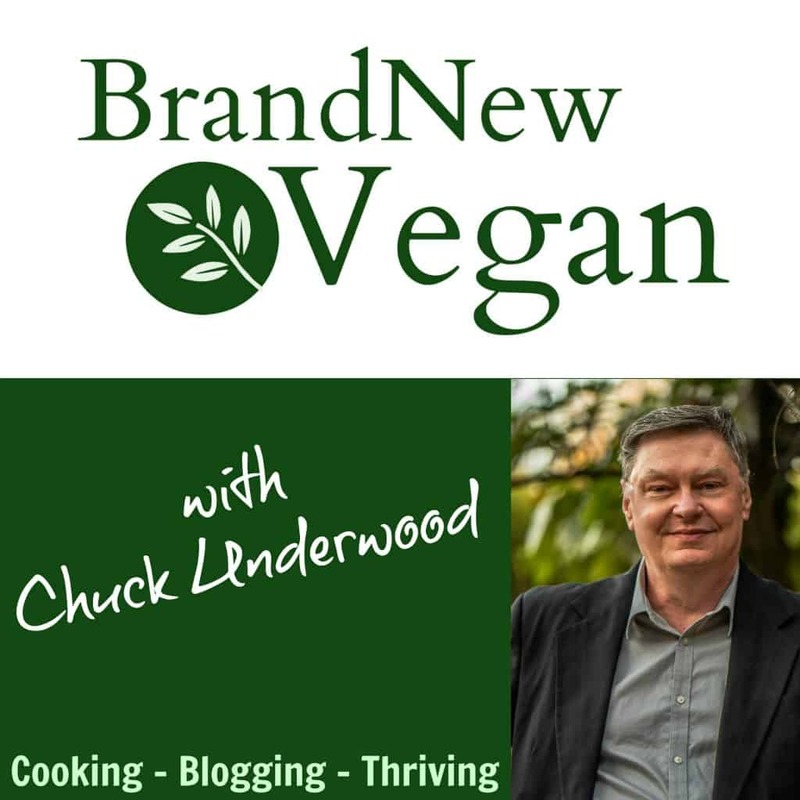 But now that I’m a brand new vegan – what would I use to replace the roast beef? All I had to do was open up the freezer, and there it was. A bag of frozen vegetables, specifically another Hoosier favorite, a bag of peas, corn, and carrots. I whipped those bad boys into the microwave, made myself a ‘veggie sandwich’, scooped in the mashed taters, and smothered the whole thing in gravy. I just created a No Beef Manhattan. 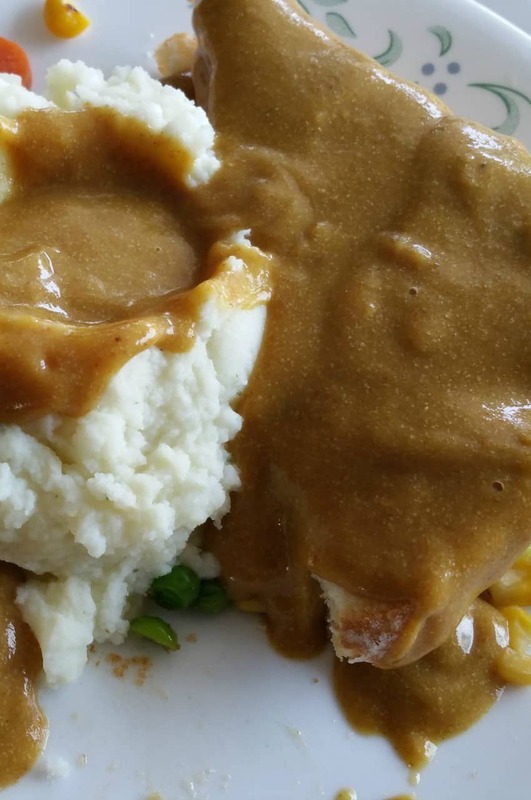 Warm, starchy, filling, and full of creamy gravy goodness. That’s what I’m talking about. And I never missed the roast beef – at all. This is a great recipe for using up leftovers, so give it a try. You can find that recipe for my amazing Vegan Gravy right here! A No Beef Manhattan is my version of an Indiana favorite. 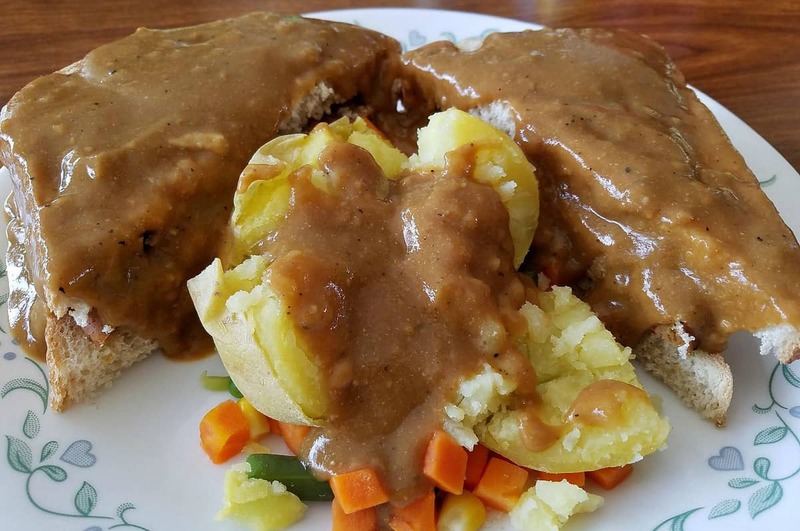 A veggie sandwich cut V-shaped, with a big scoop of potatoes in the center, smothered in gravy. Hoosier yumminess! Using the veggies, make a 'veggie sandwich'. Cut it corner to corner and separate. I have definitely never heard of this, but it sounds like something my husband would love, haha! Maybe I’ll make him a vegan version instead! I’ve never heard of this dish before! That vegan gravy sounds delicious. I never knew this had a name! My mom is from the Midwest and we used to have it for dinner at least once a month. We live in West Virginia, and also enjoyed these type sandwiches. Most of the time with chicken. One of the few beef dishes i truly miss. Used to love these and I was just thinking about how to veganize this a few days ago. Bam! Thanks, Chuck! I’ve never had one of these in a restaurant but have made them at home a few times. I didn’t even know they had a name! I ate them just because they were awfully good. Gosh, now I have something to call it other than “that kick a@& veggie sandwich I make“.